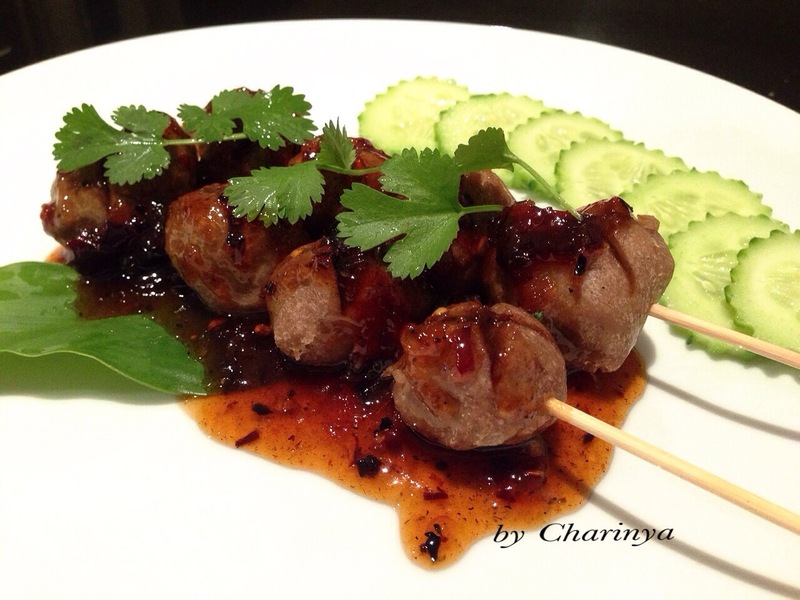 The second dish is grilled meat balls, (ลูกชิ้นปิ้ง)might be deep fried sometimes instead. I made my own very yummy dipping sauce from sweet plum sauce, which I braise with tamarind sauce, sugar, chilies, garlic and shallot. With cucumber as a side dish this is heaven! 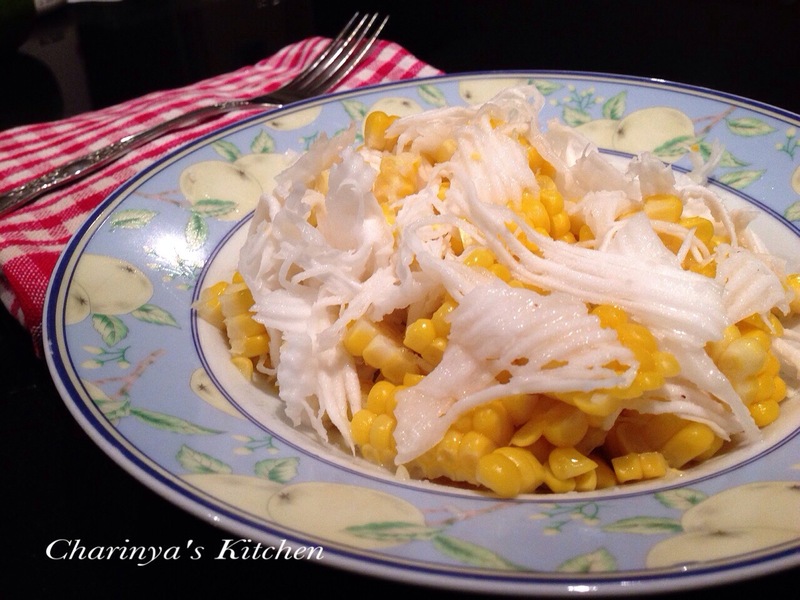 The third dish is sweet corn mixed with grated coconut seasoning mixed with salt and sugar. 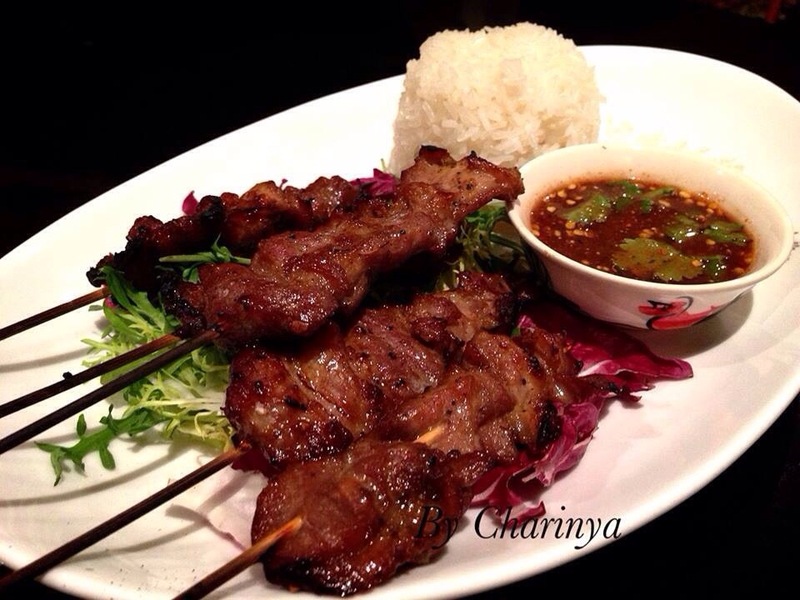 (ข้าวโพดคลุก) It is like a snack to fill you up during the day. To make it you just cook sweet corn by boiling it, then cut it to remove the kernel. Mix the grated coconut with sugar and salt, then mix with the corn kernel. I would say this is the Thai version of popcorn! These dishes are just some of the wide variety of street foods that I walked past and ate every day in Thailand. I invite you to join me in recreating some of that culinary magic when we make it in our homes.